BEIJING, Dec. 21 (Xinhua) -- The funeral of Tomur Dawamat, former vice chairman of the National People's Congress (NPC) Standing Committee, was held in Beijing Friday. Dawamat died at the age of 92 on Dec. 19 in Beijing. 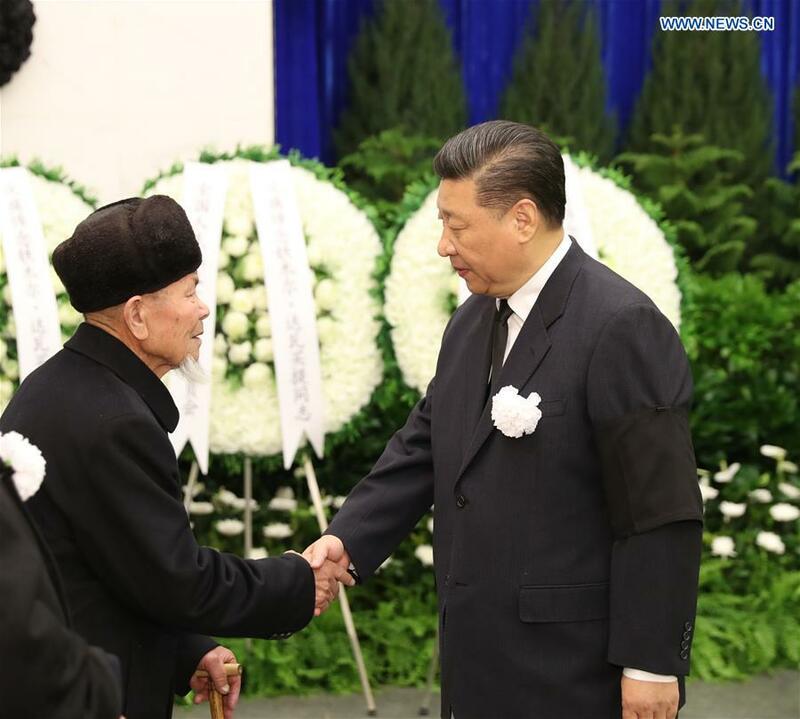 Xi Jinping, Li Keqiang, Li Zhanshu, Wang Yang, Wang Huning, Zhao Leji, Han Zheng and Wang Qishan as well as other senior officials paid their final respects at the service at Babaoshan Revolutionary Cemetery in Beijing. They stood in silent tribute and bowed three times in front of Dawamat's body. They also extended their condolences to his family. Xi Jinping, Li Keqiang, Li Zhanshu, Wang Yang, Wang Huning, Zhao Leji, Han Zheng, Wang Qishan, Jiang Zemin and Hu Jintao either visited Dawamat when he was in the hospital or offered their condolences after his death. Dawamat was described in an official statement as an excellent member of the Communist Party of China, a loyal Communist fighter, an outstanding leader in ethnic work of the Party and the state, and an excellent son of the Uygur people. Dawamat served as a vice chairman of the 8th and 9th NPC standing committees.